Ludogorets and AEK Larnaca face at Ludogorets Arena, in a match for this stage of the UEFA Europa League (Group Stage). AEK Larnaca registers significant differences between home and away results, so special attention is due to the home/away factor. The home team is currently in the 3rd position, with 1 point won, after 1 draw and 2 losses. In the penultimate round, they have lost an away match against Zürich by (1‑0). In the last round, they have tied an away match against AEK Larnaca by (1‑1). This is a team that usually maintains its competitive levels in home and away matches, since in the last 30 matches they register 9 wins, 4 draws and 2 losses in away matches; against 11 wins, 2 draws and 2 losses at their stadium. In their last match, for the First League, they got an away win against Etar by (1‑4). In the last 10 home matches Ludogorets has won 8 and lost 2. Their offense has scored consistently, as they have scored goals in 6 of the last 7 matches for this competition. There is a tendency for goals in their home matches, since 20 of the last 29 have ended with Over 2,5 goals. They have conceded the first goal in 5 of their 15 matches, but have been able to turn the score around in 4. Ludogorets is not doing well in the competition, and is the third in its group at this point, five points behind the second-placed. 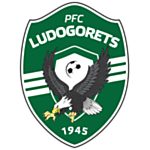 Playing alongside its fans, Ludogorets hopes to have the initiative of playing, and to fall on top of the opponent, which is also struggling in the competition. The team added a 1-1 away draw against AEK in the last Europa League game. The coach should not have major absences for this clash. Confirmed Lineup: Renan, C. Moți, Cicinho, A. Nedyalkov, Natanael Pimienta, Gustavo Campanharo, Wanderson, S. Dyakov, C. Keșerü, J. Lukoki, Marcelinho. The away team is currently in the 4th position, with 1 point won, after 1 draw and 2 losses. In the penultimate round, they have lost an away match against Bayer Leverkusen by (4‑2). In the last round, they have tied a home match against Ludogorets by (1‑1). This is a team that usually makes good use of the home advantage, stronger with the help of its supporters, since in the last 30 matches they register 5 wins, 7 draws and 3 losses in away matches, with 17 goals scored and 17 conceded; against 11 wins, 1 draw and 3 losses at their stadium, with 32 goals scored and 9 conceded. In their last match, for the 1. Division, they got a home loss against AEL by (0‑1). In the last 4 UEFA Europa League away matches AEK Larnaca has a record of 1 win, 2 draws and 1 loss. Their offense has scored consistently, as they have scored goals in 7 of the last 9 matches for this competition. 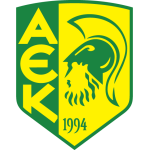 AEK Larnaca knows it it will be very difficult to qualify for the next round, so expects to at least conquer points to not be in the last position of the group. The team should make an aggressive pressing and try to nullify the home team's attack. AEK has yet to win in the competition and will try to change that in this away game. The coach should have the team at full strength to try to surprise the opponent. Confirmed Lineup: Toño, Mikel González, Igor Carioca, T. Ioannou, Català, I. Trichkovski, Acorán, F. García, H. Hevel, J. Assoubre, A. Giannou. The locals have the advantage of playing alongside their supporters, who should support them throughout the game, so they should fall on top of the opponents to conquer the three points. AEK Larnaca will try to set a defensive barrier to try to avoid the opponent's goal and try to surprise through counter-attack. We believe Ludogorets has a slight advantage over the opponent by playing at home and against a team that is also not doing a good campaign in the competition. Our betting suggestion will be the home team's victory until the end of the 90 minutes.